Phil is perhaps the most distinguished psychologist alive today, having served as President of the American Psychological Association, designed and narrated the award winning PBS series, Discovering Psychology, and published several hundred professional articles and fifty books. 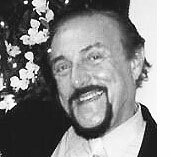 A professor emeritus at Stanford University, Zimbardo has spent nearly 50 years teaching and studying psychology. His areas of focus include time perspective, shyness, evil and madness. In addition to many textbooks, Phil has also written successful trade books, such as Shyness: What It Is, What to Do about It, (Addison Wesley, 1977/ Perseus Books, 1989). Its engaging, personal writing style will be used as a model for this book. Most recently, Phil has written, The Lucifer Effect: Understanding How Good People Turn Evil, to be published by Random House (US & UK), April 2007. Phil received his Ph.D. in psychology from Yale University. You can find out more about Phil here. John received his PhD in psychology from Stanford University, where he studied with Zimbardo, and his BA in economics from UCLA. A frequent contributor to the scientific literature on time perspective, he was instrumental in the construction of the Zimbardo Time Perspective Inventory (ZTPI) and was the first to identify the Transcendental-future Time Perspective. His more recent academic work has explored the interaction of thoughts and feelings through time. Boyd brings a strong record of translating science into practice through his current role as Research Manager at Google and his previous roles as Director of Research at Yahoo! and Director of Scientific Affairs at Alertness Solutions, a boutique international consulting firm specializing in human performance management. 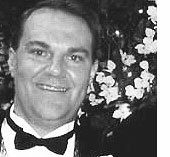 His business and technological expertise complement Phil’s stellar academic achievements. Take the Zimbardo Time Perspective Inventory and find out your time perspective scores.